I am a BACP Registered (Accred.) Integrative Psychotherapist, in private practice in Guildford, Surrey - where I work with individuals, EAPs and Organisations. I have extensive experience in workplace health and wellbeing and currently work as a Consultant Psychotherapist for several Employee Assistance Providers (EAP’s) and Insurance Companies, offering brief intervention therapy. My post qualification training in Trauma and Brief Intervention (Solution Focused/Behavioural) therapy can offer specialised short term, goal orientated therapy to individuals. 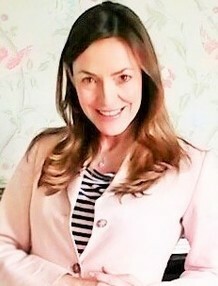 Additionally, having previously practiced as a registered Midwife, I have a special interest in Women’s health, specialising in postnatal counselling and support, Birth Trauma and Post Natal Depression.